At Pound Pool Plastering no job is too big or too small. We have been working with commercial clients since our inception and are proud to offer a 5 year guarantee on Diamond Brite pool plaster. Pound Pool offers a five year guarantee when it comes to residential pool services including such surfaces as Diamond Brite pool plaster, Sunstone pool plaster, Hydrazzo and Pebble finishes. Pound Pool Plastering was established in 1994 by Dale Pound and has plastered more than 3000 pools. We offer a wide variety of pool plaster finishes for both residential and commercial pool applications. 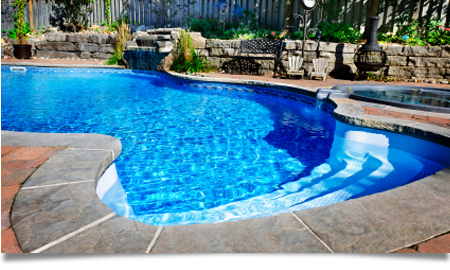 Pool repairs include ceramic tile replacement and coping replacement and repairs. We offer free estimates. The owner Dale Pound personally oversees each pool project to ensure the highest quality. We offer Diamond Brite, Sunstone, Hydrazzo, Marcite, Pebble finishes Bead Crete and more. We offer complete pool renovations. We have a great selection of tile choices and coping stones. If you would like to contact us for more information you can call us at 248-476-4544 or email us today at poundpool@sbcglobal.net. Servicing commercial clients throughout Michigan, Illinois, Ohio and Indiana as well as residential clients in Wixom, Novi, Northville, Farmington and the surrounding areas. Copyright © 2019 Pound Pool Plastering Inc. All rights reserved.